Fee Bills generation, printing and their collection has never been so easy and foolproof before Archivist Fee Management Software. Archivist Online is one of the best high school management software programs available to help you manage fees collection through paperless bookkeeping. 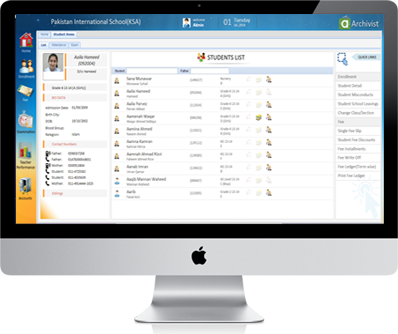 Eliminate your manual workload with our user friendly school fee management system designed to be easy to use. Whether you are highly experienced or if you have no previous knowledge of accounts, you can easily make changes to fee structures, create fee heads, receive payments and generate fee dues with minimal effort. You can even define the type of school fees to be collected from a specific grade or create a dynamic fee structure. Archivist Online is designed to be able to handle many different types of school fee scenarios and will help you to devise custom rules for fees or create new ones based on your unique needs. 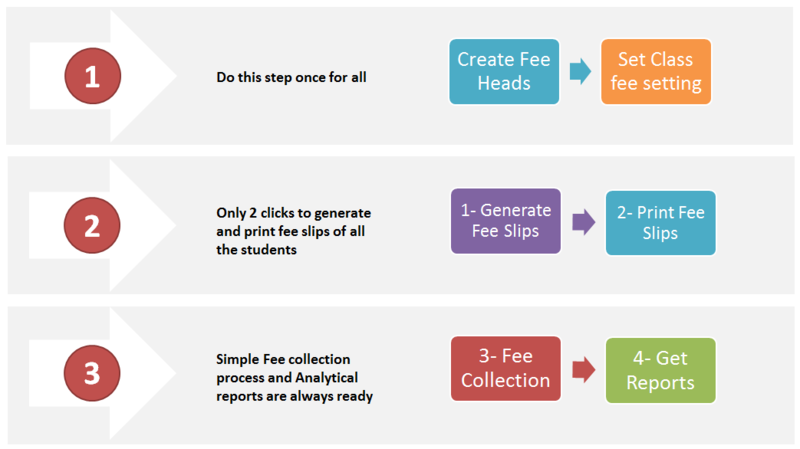 You can even assign a fee structure to each student automatically based on their class fee structure. All it takes is a few clicks of the mouse and you can print any fee form or receipt within moments when you choose Archivist Online. Our fee management software helps you to speed up your fee slips printing and fee collection process while keeping all records for outstanding balance report. Everything is done in a few clicks even for thousands of students. By using Archivist fee management system you are assured to recover 100% fines including absence and alte fee fines. Archivist not reduces your working efforts for fee printing and collection but also demand no efforts to produce dozens of analytical reports to give you insight of fee revenue. Highly customizable fee structure including class fee settings, individual student fee setting, discount rules, fine rules, late fee fine rules. If some students still need changes in some slips, you can make changes via its special form. Customization option when printing fee slips like, duplicate printing fee, arears to print or not etc.